Those of you with small children know what a play corner in a restaurant means – you can actually sit back and relax instead of chasing your toddler. It’s becoming even harder to find such a place in winter, as most of the cafes and restaurants have outside playgrounds only. That’s why I consider Velvet as one of my favourite spots now for going out with kids. 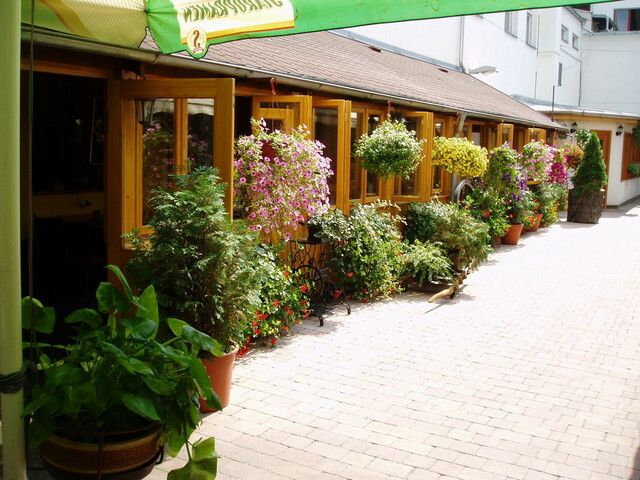 This child-friendly gem is hidden in one of the small alley ways off Trida Miru, so it might be difficult to find. Here’s a map for you. Velvet and U Dvou Zmiji are two restaurants of the same owner and are located on both sides of this tiny passage. What you need is actually a summer terrace of Velvet, Zahradka, it’s all nice and warm and ready for winter, so no worries here. This section is non-smoking, has a corner with toys and a microwave for baby food. There’re usually a lot of families with children, so mine had fun playing with new friends. The food is Czech and they have menus in English. There’re also other parts of these restaurants you might want to check out plus a bowling alley. You can find more info on their site.